Arugula: I am using the arugula for small salads every night and to garnish sandwiches. I also made a big dinner salad one night with arugula, strips of fajita beef and sugar snap peas from last week. Carrots: I am adding carrot strips to salads and snacking on them in the car. Peaches: So good as is and we may put them on the grill for a family barbeque. Green Beans: These are perfect plain and I will make a simple dinner out them cooking them briefly with olive oil/salt and serving them over brown rice. Zucchini: I will likely make my Zucchini Lasagna again or throw them on the grill (slice and brush on olive oil and spices). I also like to roast zucchini and have it for breakfast. Red Onions: I am going to save these for next week when we start getting tomatoes so I can make a sauce. Bunched Red Beets: I roasted these beets and have been adding them to salad. They are also very good for breakfast. I got strawberries in bulk last week from our farm and froze them. The frozen strawberries and beet greens with some almond milk and banana make a delicious smoothie. I hope this post helps you with your farm box or in making a decision in subscribing to a Community Supported Agriculture program. Beautiful bounty! I host a weekly CSA link party and would love for you to participate. Come check it out and add your link. http://inherchucks.com/2012/06/06/whats-in-the-box-29/. Hope to see you there. Thank you! And I look forward to following your blog. Just took a big bunch of arugula and made pesto. That works with carrot tops too if you are in need of inspiration. Great idea Tammy. Thank you! I agree with the “beautiful bounty” comment. 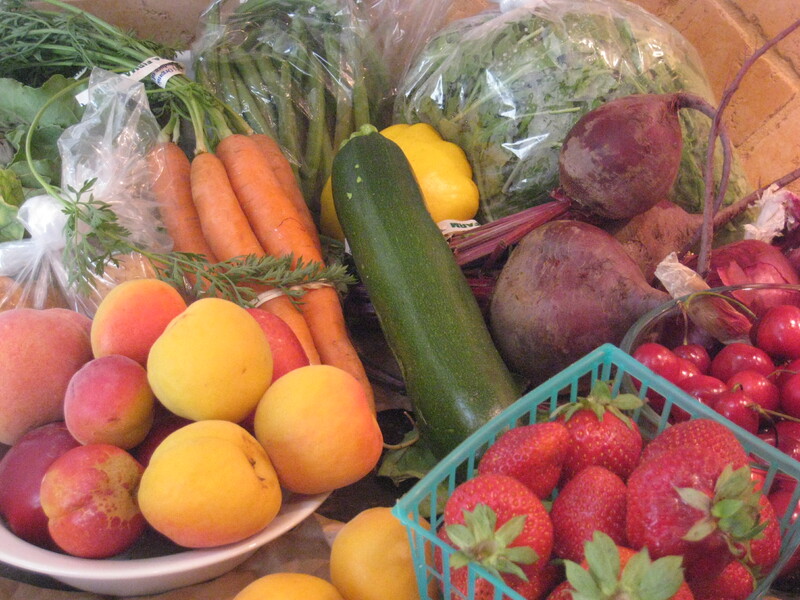 Do you have suggestions on how to locate a farm box program? I would love to participate in one of these, but not sure how to find them. Any ideas? Thanks.